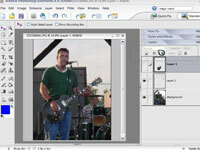 1Open a layered image in Elements. Choose an image from which you want to remove a layer. 2If it’s not already visible, open the Layers palette. 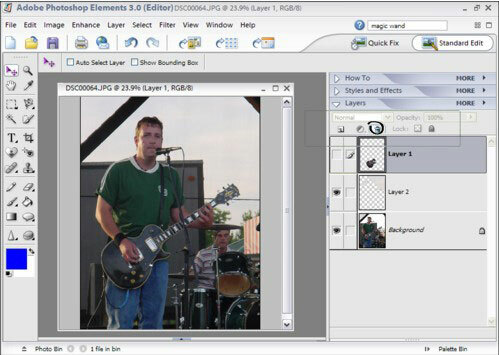 To make the Layers palette visible, click the arrow to the left of Palette Bin in the lower-right corner of the Elements window and then click the Layers tab. 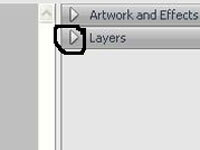 3Select the layer that you want to delete. 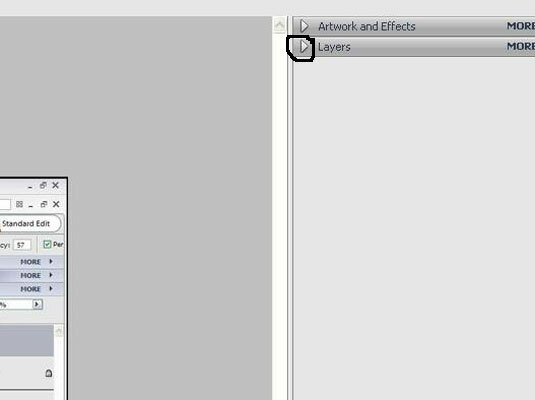 Click a layer in the Layers palette to select that layer. 4Drag the layer to the trash can icon. You’ll find the trashcan icon near the top of the Layers palette.